SERPENS (Sistema Espacial para Realização de Pesquisa e Experimentos com Nanossatélites) is a student-built 3-Unit CubeSat developed by a consortium of Brazilian Universities in a project involving over 100 students to gain experience in the development, manufacture and operation of a space mission. The 3U satellite consists of two sectors developed separately. Sector A includes the Attitude Determination and Control System, Electrical Power System, Data Handling Systems, a Telemetry & Command Communications System, and an INPE Transponder and Pulsed Plasma Thruster for demonstration in orbit. The second Sector includes its own Electrical Power System, Data Handling Architecture and Communications System, hosting an amateur radio payload. Sector A accounts for 2U of the Cubesat while Sector B fills the remaining 1U. 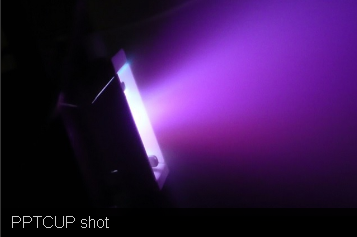 The Pulsed Plasma Thruster for CubeSat Propulsion (PPTCUP) attempts to minimize the well-established design of Pulsed Plasma Thrusters which are flight-proven electric propulsion systems used in a variety of space applications. Pulsed Plasma Thrusters use a propellant, commonly a solid fuel, that is ablated by an electric arc. Through the heat of the arc, gas released from the fuel is turned into a plasma that is located between two electrodes. Due to its charged nature, the plasma completes the circuit between the electrodes and allows electrons to flow which generates a strong electromagnetic field and associated Lorentz force that is exerted on the plasma, causing it to accelerate and be expelled from the thruster at high velocity, which, according to Newton’s Third Law, causes a force of the spacecraft. The pulsed nature of the thruster is due to an interval of time needed to recharge the electrodes after each burst of fuel. PPTCUP was developed by Mars Space Ltd, Clyde Space and the University of Southampton. It consists of a thruster board and discharge chamber. Overall, the thruster assembly weighs 180 grams including 7g of Teflon fuel and delivers a thrust of 40 micronewtons at a power consumption of 2 Watts. The entire thruster assembly fits into a 90 by 90 by 27-millimeter envelope.The thruster operates at a specific impulse of 608 seconds and in its original version is certified for 1.5 million shots. For durability, the system uses copper-tungsten electrodes. All thruster functions are controlled by a PIC16 microcontroller. PPTCUP is planned to be used in CubeSat Projects for drag compensation, orbit maintenance, formation flying and orbit transfers. 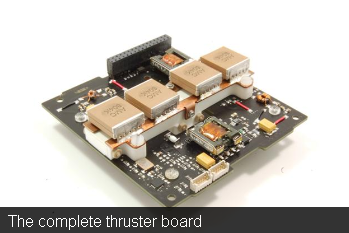 Used for Drag Compensation, the thruster is able to increase the life of a low orbiting CubeSat by up to 200%. 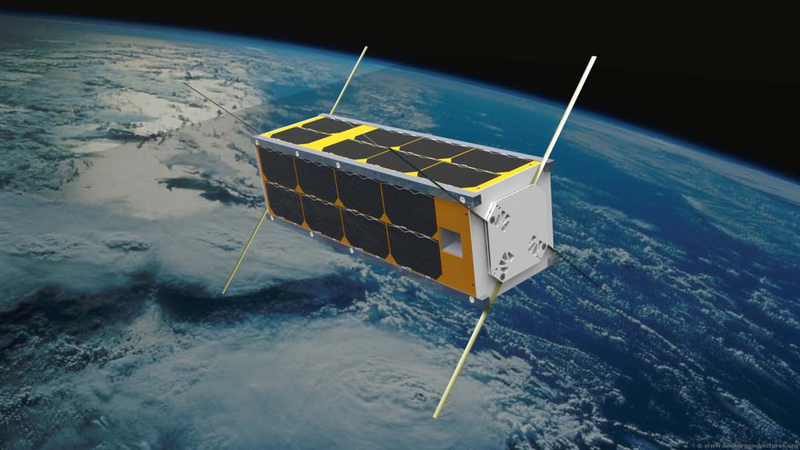 The thruster may also be used as a de-orbiting device to lower the perigee of a CubeSat for faster orbital decay in order to comply with the 25-year de-orbiting rule. 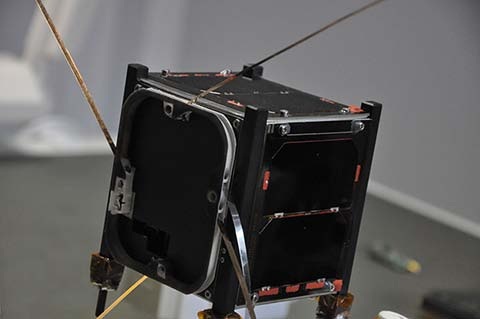 The INPE Transponder Installed on the Satellite will be used to deliver Data Collection System data packets from remote terminals deployed across Brazil to ground stations. Data Collection Platforms can be deployed virtually at any location on the globe to provide in-situ measurements of meteorological data that is then uplinked to satellites and transmitted to ground stations for collection, processing and distribution. The DCPs operate in the UHF band at 401/402 MHz. These platforms include remote weather stations, buoys at sea to measure sea state and alert in the event of tsunamis as well as other measurement stations that are deployed in remote locations. Data received via the DCS UHF antenna at data rates of 100 to 300bit/s is relayed to the ground via the S-Band antenna for processing and distribution. The HUMSAT transponder is used as part of a store and forward communications system that is currently deployed on a number of pathfinder satellites to evaluate a simple communications architecture that could be established by deploying a number of store and forward satellites into orbit. 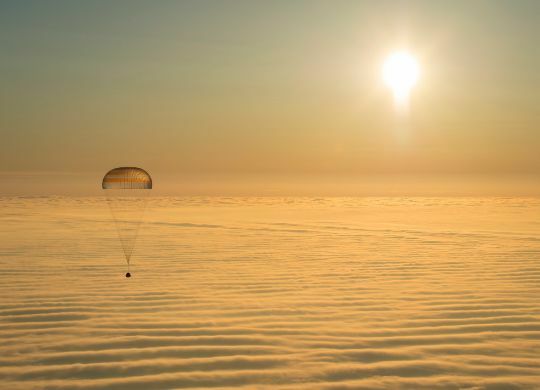 Using receivers, the satellite receives small packets of data that are stored in the onboard memory and relayed by the satellite transmitter at a given time to be delivered to a recipient. This system could be used for the transfer of messages in areas with poor communications infrastructure.